In 2011, Lars Lih wrote an article titled “The Ironic Triumph of Old Bolshevism: The Debates of April 1917 in Context” for Russian History whose thesis has been repeated ceaselessly, the latest iteration appearing on the Jacobin website. Essentially, they all argue in favor of the superiority of “Old Bolshevism” over Trotsky’s version of what took place between March and October 1917, even when Trotsky is not mentioned. Lih has a particular affinity for Lev Kamenev even though Stalin is a close runner-up for the title of Old Bolshevik supremo. Is the prodigious amount of prose advanced on behalf of Kamenev and Stalin meant to win people over? I myself get annoyed by repetition, especially those Trivago ads. Lately Lih has been joined by Eric Blanc, a young graduate student who pays lip-service to Trotsky but with little insights into the broader contours of a debate that did not end in October 1917. Like Lih, he seems stuck in a narrow historical framework that comes to an end in October 1917 or maybe as late as 1924. Indeed, the basic problem with the Lih/Blanc methodology is that it operates in a historical tunnel. At least Blanc refers his readers to the 1924 conference that pitted Trotsky against his ideological opponents (see Frederick Corney, Trotsky’s Challenge: the “Literary Discussion” of 1924 and the Fight for the Bolshevik Revolution) but that discussion operated within the parameters of the tunnel. If Kamenev was correct that the revolutionary democratic dictatorship of the proletariat and peasantry was “fully and completely realized in the Russian revolution”, wouldn’t it make sense that it would also apply to China, another country that had a Communist Party under the complete control of Stalin, Kamenev and Zinoviev in the very year that the 1924 conference took place and whose fate in the next three years would be sealed by the Triumvirate’s politics? Was there any reason to think that the “old Bolsheviks” had lost the old magic when it came to China? What were the implications of applying what worked in 1917 to China where the Kuomintang (KMT) was hailed by Kamenev and company as a revolutionary party, so much so that it was accepted as a sister party of the Comintern and its Generalissimo Chiang Kai-Shek as an honorary member? Or that the Communist Party of China was directed to work within the KMT and forbidden to leave even after Chiang Kai-Shek began to slaughter its members? At noon on April 13 the workers gathered at a mass meeting on Chinyuen Road, Chapei. Resolutions were passed demanding the return of the seized arms, the punishment of the union wreckers and protection for the General Labour Union. A petition was drawn up embodying these points and a procession was formed to march down to Second Division headquarters to present it to General Chow Feng-chi. Women and children joined. Not a man marching bore arms. They swung into Paoshan Road under a pouring rain. As they came abreast of San Teh Terrace, a short distance from the military headquarters, machine-gunners waiting for them there opened fire. Lead spouted into the thick crowd from both sides of the street. Men, women, and children dropped screaming into the mud. The crowd broke up into mad flight. Guns continued streaming fire into the backs of the fleeing workers. The muddy rain water coursing down ruts in the streets ran red. By 1927, Trotsky had been joined by Kamenev and Zinoviev in the Joint Opposition. Two years earlier they had broken with Stalin and Bukharin over Socialism in One Country and formed the New Opposition that operated independently of Trotsky’s Left Opposition. One year later their faction united with Trotsky’s. While they agreed on the need for world revolution theoretically, Kamenev and Zinoviev supported the pro-KMT policy that objectively undermined exactly that goal. This was understandable since they remained wedded to the revolutionary democratic dictatorship of the proletariat and peasantry. In fact, Zinoviev was probably the main architect of the policy in China as Comintern chief. When Trotsky advocated making the China debacle the focus of the attack on Stalin, he was opposed not only by the two old Bolsheviks but many of his own supporters. Part of the problem was Trotsky’s collaboration with Zinoviev in building an alliance with the KMT as part of an attempt to break out of the USSR’s isolation just as was the case with its overtures to Mustafa Kemal. But from the very beginning Trotsky opposed the CP functioning as part of the KMT. He said you can have diplomatic relations with a country at the same time you are trying to overthrow its capitalist government. That in fact is exactly how capitalist states enter into diplomatic alliances with workers states, if you recall the Molotov-Ribbentrop pact. Stalin and Bukharin defended their policy as adhering to Leninist orthodoxy. China needed to carry out a bourgeois-democratic revolution in order to cleanse the nation’s Augean stables of feudal property relations. Once that was accomplished, they could go on to the socialist phase. Of course, Lenin abandoned such a schema in 1917 despite what Lars Lih thinks. On April 12th, on the very day that working-class blood flowed in the streets of Shanghai, Pravda wrote an unctuous eulogy to the KMT. Can you guess who the author was? No, it was not Stalin or Bukharin although it might have been. It was Alexandr Martinov, who had been a rightwing Menshevik for 20 years before joining the Russian CP after the civil war, and who was now a leading light of the Comintern. Where did the truth lie? Kamenev, in giving a ‘benevolent’ interpretation of the resolution, was doubtless trying dutifully to retain in it the official Bolshevik idea: that the conclusion of the imperialist war was only possible by way of a Socialist revolution. But I also had no doubt that Kamenev didn’t sympathize with this official Bolshevik idea considered it unrealistic, and was trying to follow a line of struggle for peace in the concrete circumstances of the moment. All the actions of the then leader of the Bolshevik party had just this kind of `possibilist’, sometimes too moderate, character. His position was ambiguous, and not easy. He had his own views, and was working on Russian revolutionary soil. But—he was casting a ‘sideways’ look abroad, where they had their own views, which were not quite the same as his. The debate that broke out over the Lessons of October in 1924 never really came to an end. Within three years they reemerged over how to assess the Chinese disaster. For a presentation in line with Lars Lih’s encomiums to old Bolshevism, I recommend Josef Stalin’s “Questions of the Chinese Revolution” that appeared in Pravda. The military authorities proceeded with the systematic destruction of the trade unions. The Hankow Garrison Headquarters issued a ban on strikes. Between July 14 and 19 soldiers were “billeted” on the premises of twenty-five unions whose archives and effects were confiscated. Simultaneously throughout Honan province Feng Yu-hsiang was conducting a similar drive. “In the last few weeks the Chinese labour movement in the territory of the Wuhan Government has lived through a period of the most brazen reaction. . . . The military . . . have carried out such enormous work of destruction directed against the mass organizations . . . that it will require a very long period and gigantic energy to make good the losses and to enable the trade unions to resume their normal functions,” reported the Pan-Pacific Trade Union Secretariat. It makes sense to conclude this article with an excerpt from Trotsky’s reply to Stalin that takes a close look at the aforementioned Martinov. It encapsulates the differences between Lars Lih and revolutionary socialism, even if he lacks the ability to understand them. The official leadership of the Chinese revolution has been oriented all this time on a “general national united front” or on the “bloc of four classes” (cf. the report of Bukharin; the leader in the Communist International, no.11; the unpublished speech by Stalin to the Moscow functionaries on April 5, 1927; the article by Martynov in Pravda on April 10; the leader in Pravda of March 16; the speech by comrade Kalinin in Izvestia of March 6, 1927; the speech by comrade Rudzutak in Pravda of March 9, 1927; etc., etc.). 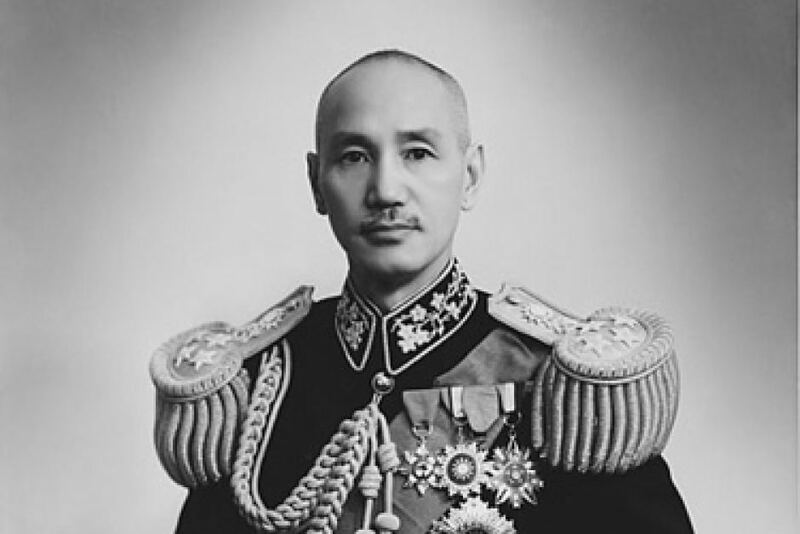 Matters had gone so far on this track, that on the eve of Chiang Kai-shek’s coup d’état, Pravda, in order to expose the Opposition, proclaimed that revolutionary China was not being ruled by a bourgeois government but by a “government of the bloc of four classes”. In principle the Bolsheviks were also for retaining the ‘united front’ in the Chinese revolution up to the completion of the task of national liberation. On April 10, Martynov, in Pravda, most effectively and despite the obligatory abuse of the Social Democrats, in a quite ‘Menshevik manner’ showed the ‘Left’ Oppositionist Radek the correctness of the official position which insists on the necessity of retaining the ‘bloc of four classes’, on not hastening to overthrow the coalition government in which the workers sit side by side with the big bourgeoisie, not to impose ‘socialist tasks’ upon it prematurely. Everyone who knows the history of the struggle of Bolshevism against Menshevism, particularly in the question of relations to the liberal bourgeoisie, must acknowledge that Dan’s approval of the “rational principles” of the Martynov school is not accidental, but follows with perfect legitimacy. It is only unnatural that this school should raise its voice with impunity in the ranks of the Comintern. The old Menshevik tactic of 1905 to 1917, which was crushed under foot by the march of events, is now transferred to China by the Martynov school, much the same as capitalist trade dumps its most inferior merchandise, which finds no market in the mother country, into the colonies. The merchandise has not even been renovated. The arguments are the same, letter for letter, as they were twenty years ago. Only, where formerly the word autocracy stood, the word imperialism has been substituted for it in the text. Naturally, British imperialism is different from autocracy. But the Menshevik reference to it does not differ in the slightest from its reference to autocracy. The struggle against foreign imperialism is as much a class struggle as the struggle against autocracy. That it cannot be exorcized by the idea of the national united front, is far too eloquently proved by the bloody April events, a direct consequence of the policy of the bloc of four classes.